Our magickal rituals are meant to be enriching, transformative experiences that have a real effect on both our inner world and the world at large. When our rituals become routine, however, it’s easy to switch from active participant to automatic bystander, simply going through the motions without really feeling (or working) the magick. As this rut develops gradually over time, it can be hard to realize just how deep of a hole we’re getting ourselves into. A failed spell, a backfiring charm, an empty and unfulfilling sabbat ceremony—these magickal mishaps shake us up and open our eyes to the fact that our practice is missing something. We become aware of a sense of disconnect, an inner knowing that, magickally speaking, things just aren’t like they used to be. If this sounds familiar, look up! It’s very possible to recharge your magick and refresh your spirit, and it’s a journey you’ll likely enjoy. In fact, it’s a journey you will likely never end, as continued progress is the true key to satisfying, effective magick. Designing your own road forward is what my new book “The Witch’s Bag of Tricks” (June 2011, Llewellyn Publications) is all about. I believe we have not only an ability, but a duty, to make our magick the best it can possibly be, and to use that magick for the best things we can possibly imagine. If you’ve been feeling any less than totally powerful and enthusiastic when it comes to your craft, it’s time to boost your strength and rekindle the flame in a big way. Here are a few tips and tricks you can try right now to start revamping your magickal practice and renewing your spirituality. Simply finding a new place in which to work our magick is often refreshing. Our craft is very much tied to the earth, and taking your magick to a new environment can be a source of inspiration and fresh power. Try this. Go out alone or with a group to a natural place or to the middle of a city—where you go is up to you, as long as it is a place you have never (or rarely) practiced magick before, and as long as it is a place where you feel safe doing so. Take in your surroundings with all your senses; tune in to the energies around you. What power sources do you sense in the area? What do you see? Are there any stones, plants, or water features that could perhaps be useful in a bit of magick? What thoughts and images are swirling through your head? What does this particular place suggest to you? On the spot, craft a ritual or spell using elements of this new environment. You might request the help of local nature spirits, or pick up a handful of soil to use in a prosperity spell. You might cast your charm into a stick you find lying on the ground, then toss the stick into a nearby creek to seal the spell. You might find a special stone that appeals to you and craft it into a luck-bringing talisman. Let the new environment guide your magick, and you’ll benefit not only from the spontaneity of the act, but also from the renewed sense of connection to the earth you’ll experience. Another easy way to recharge your practice is to do what you usually do, only without the aid of any ritual tools. The tools of magick are primarily intended to aid the spellcaster in performing the internal, spiritual, emotional, and mental actions of the magickal process. They are somewhat of an outer trapping, helpful but not necessary. When we rely too heavily on our magickal tools, we can lose focus of the true heart of spellwork, our attentions directed instead to the wand in our hand, the pentacle on the altar, the candle before us. Put yourself back in the center of the action by skipping the tools altogether every now and then and giving one of your favorite spells a go using nothing more or less than the enormous magickal power that lies within you. Does the original spell call for a potion to be blended, or a talisman created? Ask yourself what the particular function of each ingredient and each direction in the original spell is, then decide how you can perform that same function using only your consciousness, will, and intent to direct and manipulate the magickal energy. You’ll become more aware of the essential steps of the magickal process, and as your technique improves, your spells will be more successful. When our magick has been a bit mediocre, we can lose faith fast. We begin to doubt our abilities and we may even hesitate to use them. If your spellwork hasn’t been quite up to par, don’t avoid it or ignore it. Face it head on and get to the bottom of it, so that you can clear your way back up to the top! One helpful technique is to test and track your magickal activity. Don’t just cast spells. Take notes, experiment, record results, and evaluate your magick. Try performing several spells with the same goal, a week or so apart, and see which sort of spell works best for you. For example, you might cast a prosperity spell using a candle as the main focal point, envisioning the growing flame of wealth. If the spell yields no results within whatever time period you specify, try another method, perhaps using a tarot card as a wealth-bringing talisman. If you still have no results, try a spell using image magick. Note what spells give you the best results. Another exercise to try tests your banishing magick ability. Try this the next time you have some really hard-to-wash pans to scrub. Perform a banishing charm on one side of the pan, using a blast of psychic energy to separate the layer of crud and direct it away from the pan’s surface. Now scrub each side of the pan in equal measure, using the sponge with a uniform pressure. Which side cleans easiest? Did your banishing charm have any effect, or could your charmswork use some polishing? What other experiments can you think of? Testing our magick and tracking results, noting successes and failures alike, allows us to see the “big picture” of our magickal development. Once we collect enough data from our magickal “experiments,” larger patterns become apparent. We’re aware of strengths we can utilize and weaknesses on which to work. We’re inspired to further our learning and empowered to make the most of our magick, which in turn, makes our magick more exciting, fulfilling, successful, and fun. Whether you take your magick to new places, work it with only the bare essentials, or put it to the test through experimentation, trying new ways to shake up your magick routine and learning new techniques to improve your spellcasting will reinvigorate your practice. What other new tricks might you try? Are you curious to discover just how powerful your magick can be? From one witch to another, I urge you to go for it! Even the tiniest step forward can make us eager once more to sprint ahead on our own personal path to greater magickal and spiritual fulfillment. 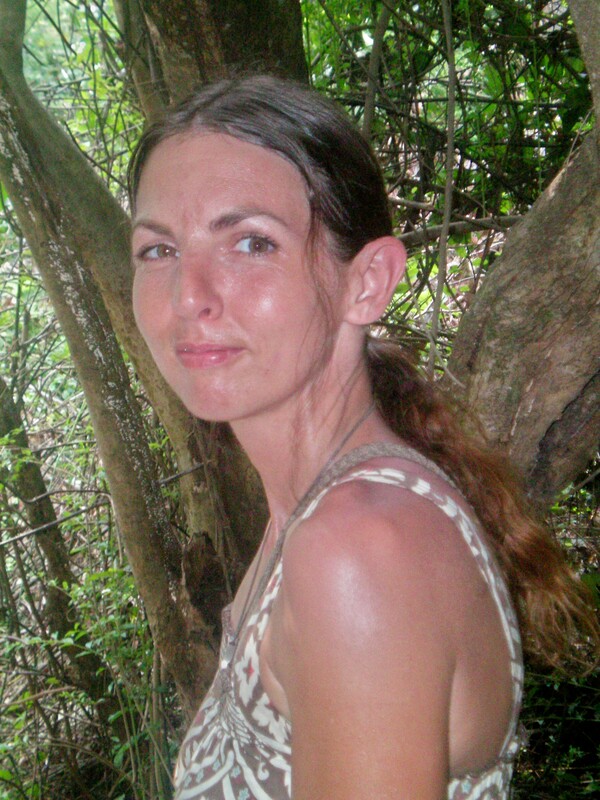 Melanie Marquis is a lifelong practitioner of magick, the author of “The Witch’s Bag of Tricks” (June 2011, Llewellyn Publications), and the founder of United Witches global coven. 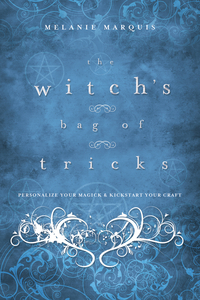 Her new book offers lots of ways to reinvigorate your craft and put the spark back in your spellwork. Visit her online at www.melaniemarquis.com.